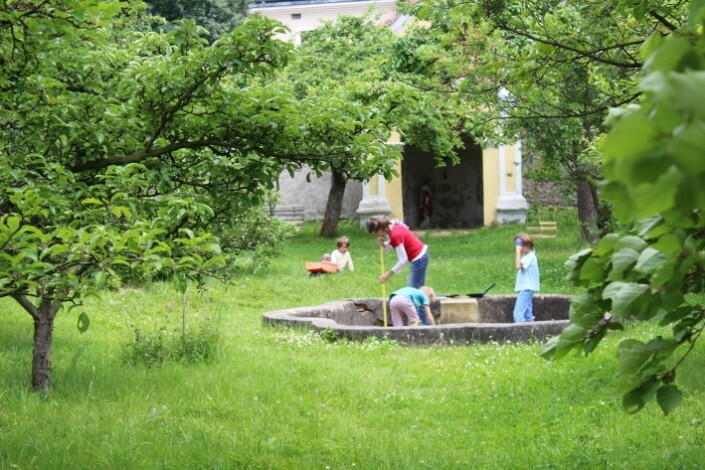 Czech National Trust supports renovation of the cultural heritage in Czech republic. For this purpose, we cooperate with the National Trust of England and owners of individual historic sights on organizing volunteer summer working holidays with the aim to reveal the sights’ historical value, restore them and bring them back to life. 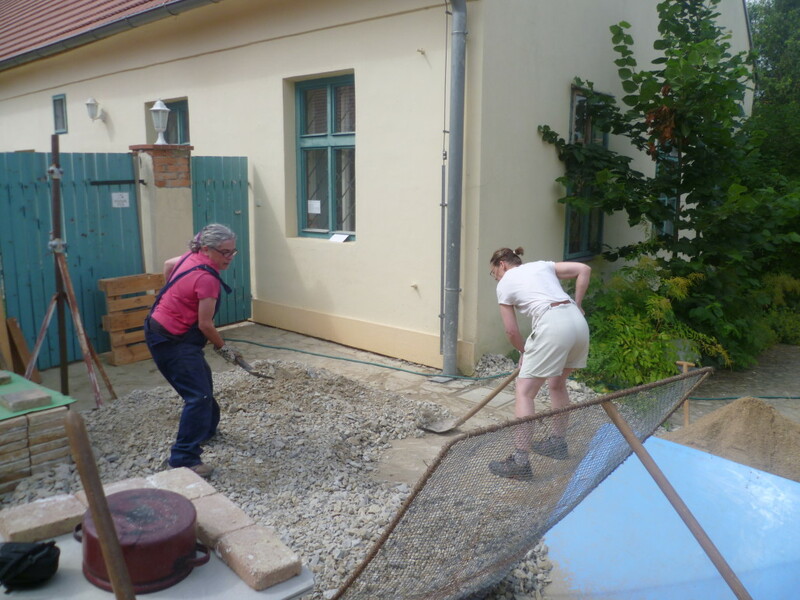 Volunteers cover their travel, accommodation and diets. The work stay is 1 week and includes 5 work days and 1 free day during which volunteers get a chance to visit sights normally inaccessible to public as a reward for their work. 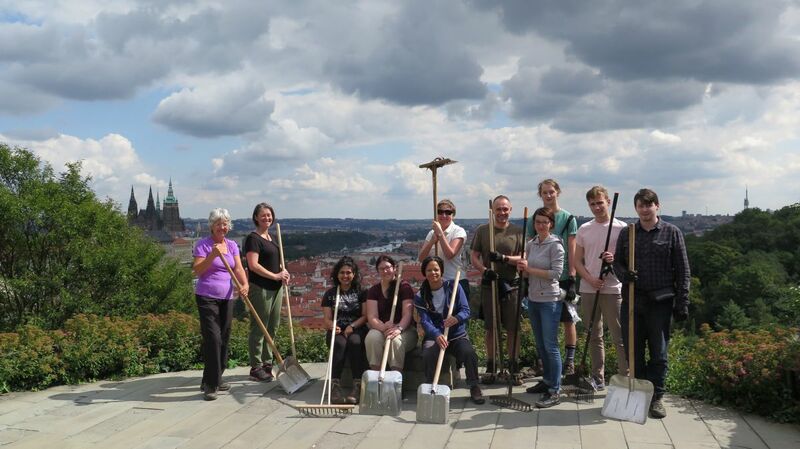 Participants will be working on CNT’s pilot project – clearing parkland around the chapel and mausoleum linked to Marie Ebner Eschenbach, one of the most remarkable literary personalities of the 19th century. Participants will help with the construction of a small eco-friendly visitor centre, work will include building and finishing timber structures plus helping out with clearing of the historical park. The site is situated near Kromeriz and its beautiful domed chapel is built in the Classicist style – a distinct piece of architecture offering splendid views of the rolling landscape. You’ll have plenty of time to explore Kromeriz and the CNT will arrange tours of its UNESCO-listed gardens, chateau and prestigious art gallery. You will also visit other nearby places of interest. Meeting point: Participants will be picked up at Brno international airport. Other close airports include Vienna and Prague and there are good train connections. We can advise on trains. ­­­­­­­­­­­­­­­­­­­­­­­­­­­Accommodation: Full board in a modern hostel in Kromeriz’s main square. The hostel has wi-fi and a pleasant café. Breakfast and dinner will be served in the café; lunches will be brought to the work site. The conservation work will be taking place in one of the oldest and culturally significant Gothic-Renaissance castles, in a small historic town one hour from Prague. 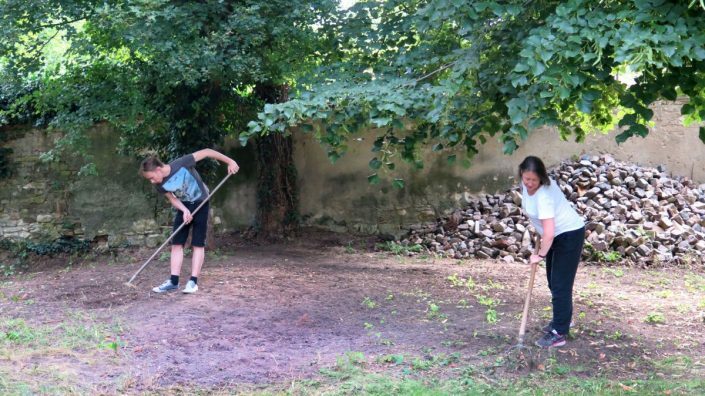 You will help to clear and restore the park and clean the debris from some of the castle rooms. This work will be mostly manual, led and supervised by members of the Czech National Trust and the castle’s management. No special skills are required. Rozmital is surrounded by a beautiful pristine forest, which has recently achieved National Park status, and you will have the chance to explore this scenic landscape. Many other activities are planned by the holiday leaders: trips will be organised to visit the two nearby castles of Breznice and Blatna, a beautiful baroque pilgrimage site and the museum of composer Antonin Dvorak in the village of Vysoka. Meeting point: Participants will be met at the bus station in Pribram, near Rozmital, which is an easy bus ride from Prague. ­­­­­­­­­­­­­­­­­­­­­­­­­­­Accommodation: You will stay in shared rooms in the newly-renovated Pension Ryba, a short walk from the castle. Bedding and towels provided.